capture Group is a professional agency for website design + creative technology + internet marketing + graphic design. For customers all over the world, we offer tailor-made website design. Please use this form for planning a website project. The choice of project budget allows us to see if we can meet your needs and expectations. Add more information that may be useful to us. 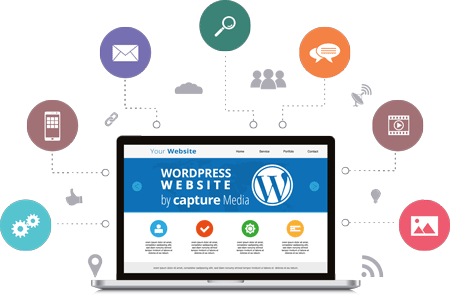 WordPress Open Source idea, it is possible to develop user-friendly web pages that are easy to use and offer users as well as operators the greatest possible benefits. Designing the perfect personal or commercial website with the best internet technology. The world’s most widely used open source, content management system, with the largest range of functions. To optimize their websites so that they actually get a better ranking in search engines. To deliver ideas at the push of a button, with a special talent for well designing. You should have many possible exits for the user to purchase your websites.